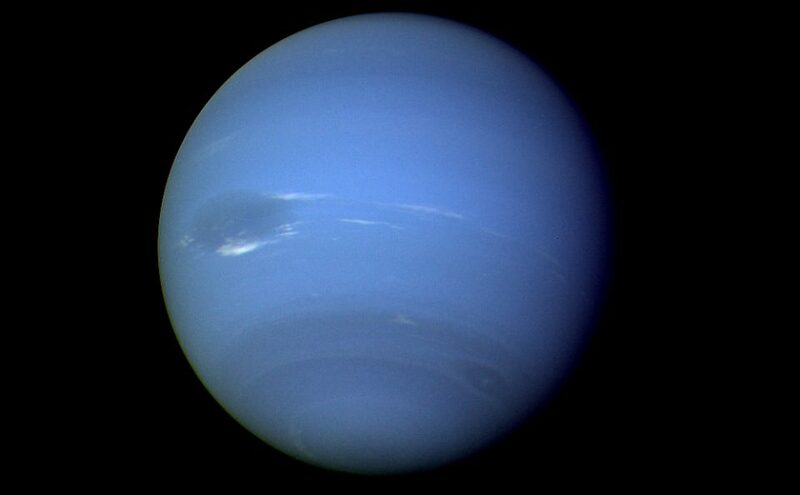 Like the other three Jovian planets (gas giants) in our solar system Neptune is considered to be a failed star comprised primarily of the same elements as our Sun. It is considered a failed star because it is not massive enough to initiate and sustain nuclear fusion, the energy process that powers the Sun and all other stars. 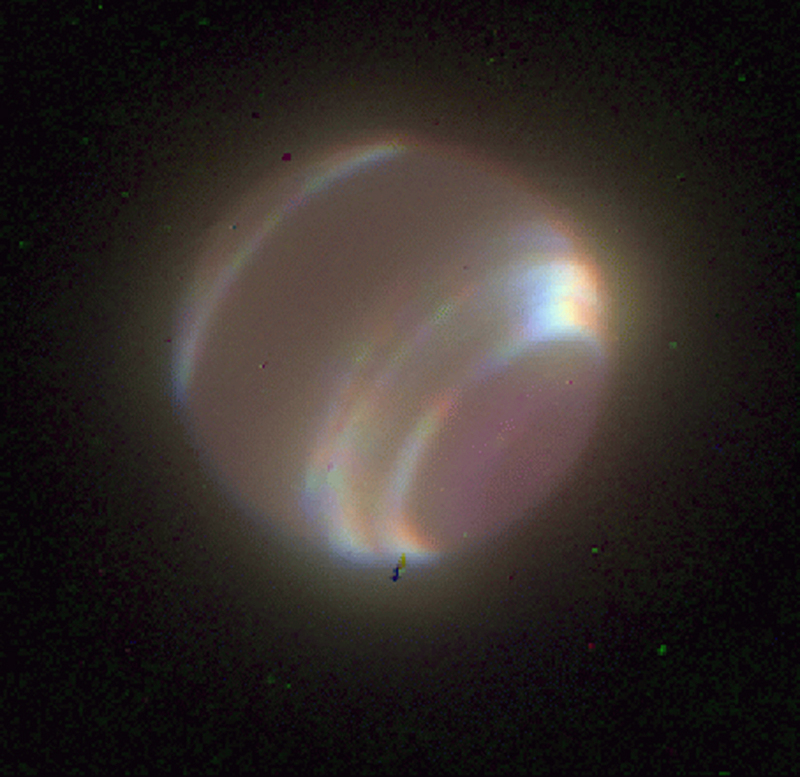 But unlike the other gas giants the aurorae on Neptune are not visible from Earth because of their distance, though they were detected by the passing Voyager 2 spacecraft. 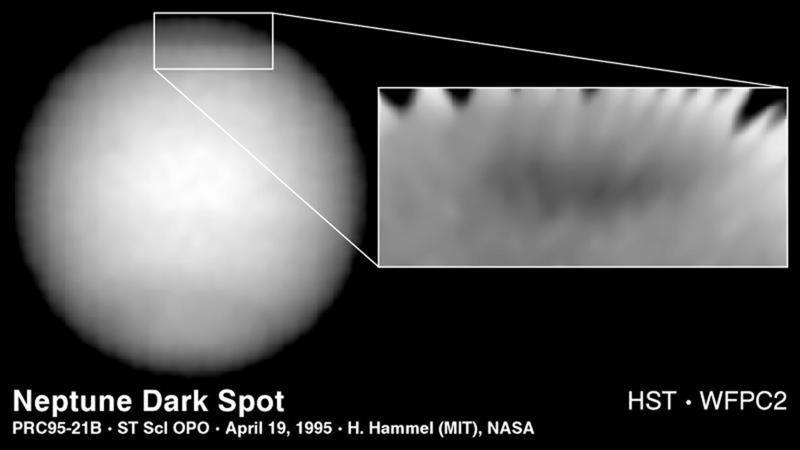 And just like Uranus these aurorae occur far from the poles. This is because Neptune’s magnetic field is titled 47 degrees in respect to its rotation axis compared to 11 degrees for Earth. Scientist think Neptune’s tilt may be characteristic of gas flows in its interior. 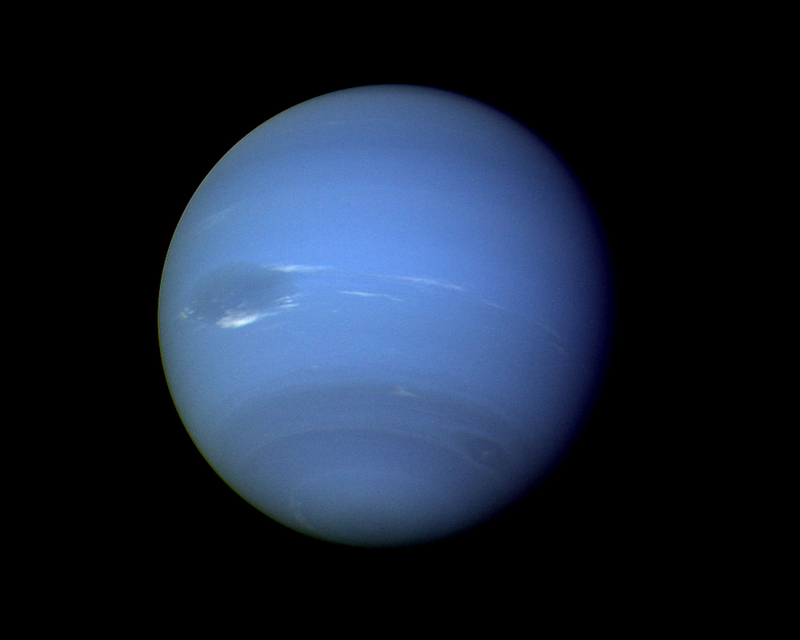 Neptune, as with the other Jovian planets, is a giant sphere of electrically active plasma. 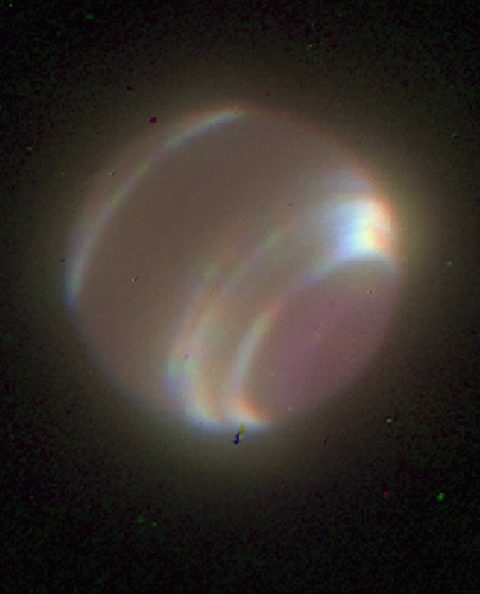 Its aurorae are powered by its direct electrical connection to the Sun, just like the other Jovian planets. 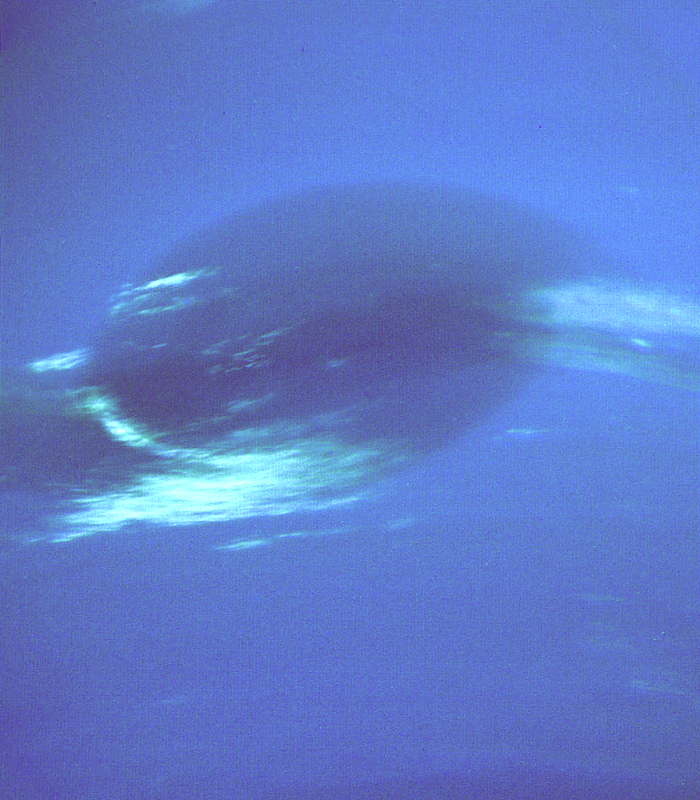 Neptune’s magnetic field is inclined at a very steep angle because it remains roughly perpendicular to the orbital plane of the solar system, like all other planetary magnetic fields. However its spin axis is almost level with the orbital plane. Cloud activity and spot appearances appear to be concentrated at the latitudes were the magnetic field axis passes through the planet.